Teaching piano to adults requires a different set of skills than teaching children. Adults have a longer attention span than children and can grasp abstract concepts more quickly. 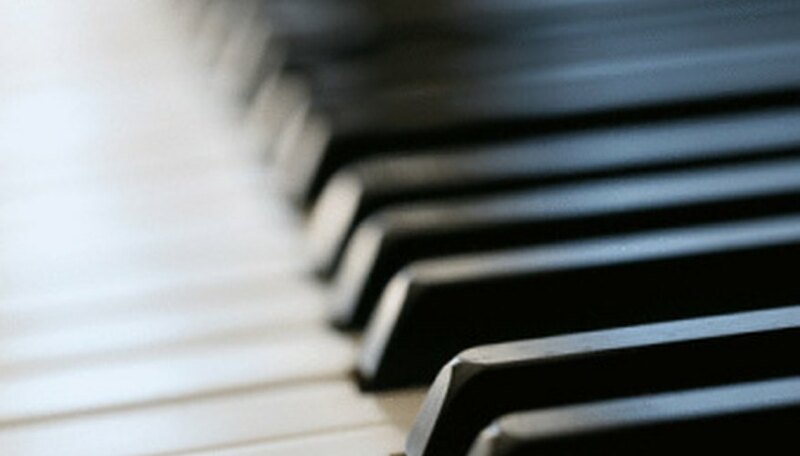 Many adult students simply wish to play their favorite songs and may be reluctant to learn the fundamentals of piano technique. Because adults often have busy schedules with little time to practice, it is important to keep them interested in continuing their piano lessons and provide the proper teaching materials to accomplish that goal. Select an adult piano method book to use with your student or to have as a reference. Several music publishers print well-known piano methods, such as Alfred, Hal Leonard, Kjos and others. When selecting an adult piano method book for a student, ask the student about his prior musical education (if he has any) and which styles of music he is interested in learning. A general adult piano method, such as the "Adult All-in-One Course" published by Alfred, will typically incorporate classical technique, music theory and song repertoire. Assign your adult student scales that correspond to the music he is learning. Start by introducing the circle of fifths chart and go over the patterns of accidentals in each of the major and minor keys. Adults usually understand the concept and patterns of scales faster than children; therefore, it is easier for them to put the concept into practice. Instead of assigning a few scales at a time, have the student focus on scales that occur in the music he is practicing. Teach the primary, or I-IV-V, chords beginning in C major. After the student understands the ordering of scales in the circle of fifths, then it is a good time to introduce the primary chords. Teaching the primary chords not only facilitates transposing for the student, it is also a good springboard to introducing improvisation. Adult piano methods vary when it comes to introducing primary chords, the Alfred All-in-One Course introduces it early on, while the Hal Leonard course waits until level three. Introducing chords depends on the teacher's discretion as well as the student's own ability. Offer your student opportunities to perform for others. Many adults would rather perform in a more relaxed atmosphere instead of a formal recital. Encourage your adult student to attend an open mic night at a coffee shop or sit in on a local jazz or blues jam session if he is skilled enough. Another option is to throw a piano party at your home and encourage your student to play the piano there. Playing the piano yourself may help encourage a student who is particularly shy. Inform your adult student about your studio policies regarding cancellations and refunds. Working adults are much more likely to cancel lessons at the last moment, so you must have a rigid policy regarding lesson cancellations and refunds. Nicolas Arteaga has been working as a freelance writer since 2008. He writes articles about music education for "Musopen" and "Music Teachers Helper." Currently, Arteaga teaches and performs piano throughout northern California. He has studied music theory at the Guildhall School of Music.